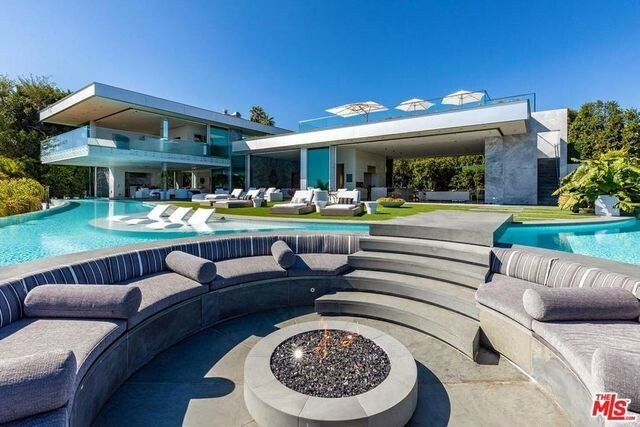 A luxury home in Los Angeles almost always comes with a pool. And you can bet we’ve seen quite a few high-end versions, from indoor to edgeless. But this week’s most expensive new listing might just take the grand prize for our favorite pool yet. 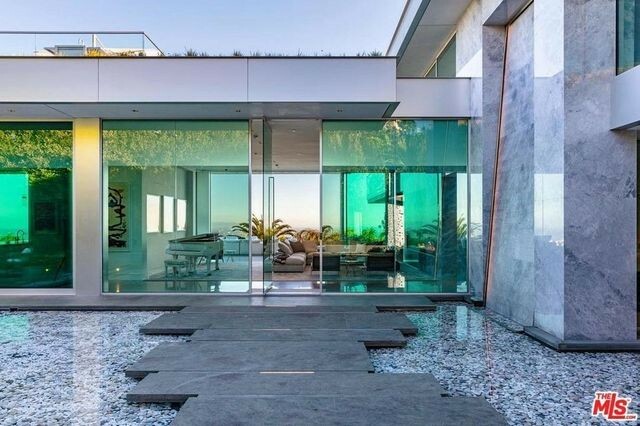 Behold, the megamansion with a dramatic L-shaped water feature cantilevered over the property. In addition to the dramatic setting and panoramic city views, there’s a cool conversation pit with a fireplace—sunken, literally, right in the middle of the pool. The 16,000-square-foot estate is going for $52 million. Built just last year, the pricey contemporary offers six beds, 10 baths, and all the luxury amenities imaginable. Canadian billionaire and spec developer Francesco Aquilini picked up the property in 2012 for $8,525,500. 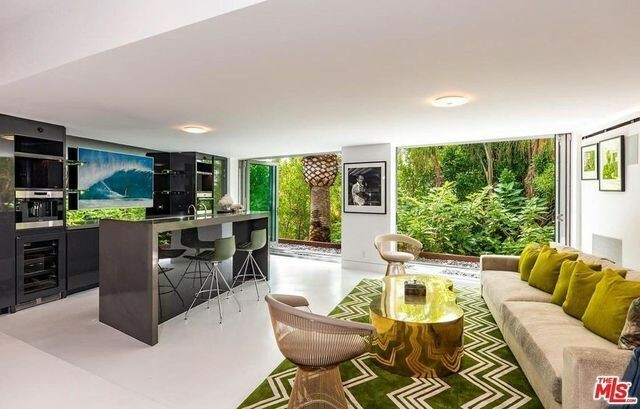 The grounds had once been the site of a 1960s midcentury modern with its own bragging rights—at one point, the 3,000-square-foot abode had been offered as a rental for $15,000 a month. After Aquilini bought the property, he tapped architect Paul McClean to create his vision for the home. 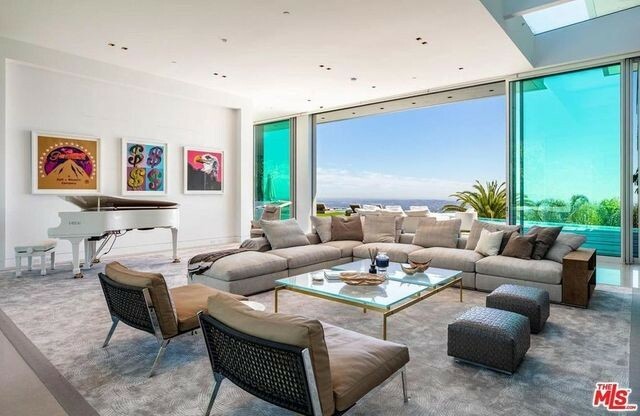 Construction wrapped in 2018, during which time the home was quietly shopped around for $58 million—but had no takers. Now, upon completion, it’s back with a (very moderate) price cut. But those at the top of the market might find this sleek space just the ticket. 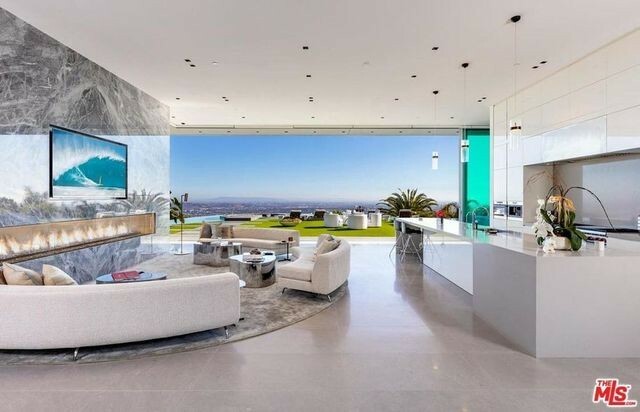 You can enter the gated hilltop home, billed as a “next generation masterpiece,” by a floating footbridge and glass double doors. Inside, of course, there are plenty of wow-worthy features. In addition to the posh living space, dining room, open kitchen, and family room, disappearing glass walls highlight the home’s seamless indoor-outdoor flow. Plus, there’s a “sumptuous” master suite with a to-die-for bath on the upper level. The lower level is also worth a peek. Downstairs, find a media room, lounge, wet bar, gym, glassed wine room, car display area, and wellness studio. Branden Williams of Hilton & Hyland holds the listing.